EVP Systems is pleased to announce the latest version of its industry-leading securities evaluation software, EVP Office 8.0. This new release is the best we've ever made. It not only features a new look, but better integration with networks and enterprise systems, more detailed billing records and an entirely new program, specifically for valuing gifts: GiftVal. While the programs you know — EstateVal, CostBasis and CapWatch — have all taken steps forward, it's GiftVal that's the centerpiece of EVP Office 8.0. 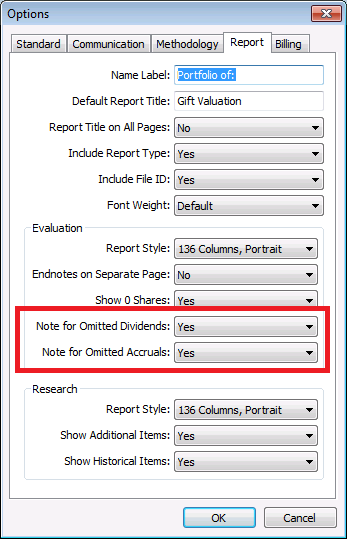 For the first time, you can selectively include or omit bond interest or stock dividends from reports, depending on if they were part of the gift or not. It gives you unprecedented control over what you file with the IRS for Form 709 returns or send to your clients. When you start GiftVal, it looks a lot like EstateVal, with entry columns for security identifiers (CUSIPs, SEDOLs and tickers) and the number of shares or par. 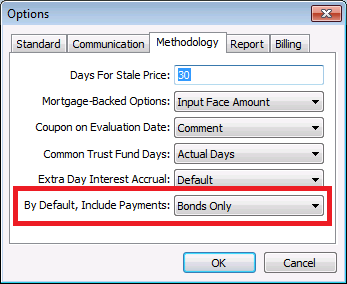 But also available is a drop-down field, allowing you to set whether or not the payments for the lot are to be included or omitted from the report (or the default used — more about this later), and any basis value and date for the security. This is just a very brief overview of the newest addition to EVP Office, GiftVal. We've always believed that you, our clients, are the experts and we're eager to hear from you — please let us know what you like about GiftVal, what you would like to see changed, and what you'd like to see added in the future. Send us your comments at support@evpsys.com!